1. (verb) (-hia,-na,-ngia,-ria,-tia) (ākona) to learn, study, instruct, teach, advise. Ko ngā mātauranga e akoria ana ko te reo Ingarihi, kōrero pukapuka, tuhituhi me te mapi (TTT 1/7/1925:264). / The subjects being taught are English, reading writing and geography. 1. (verb) to rote learn. 1. (particle) to cause something to happen, cause to be - prefixed to adjectives, statives and verbs that do not take a direct object, including reduplicated forms. E whakatikatika ana te kaiako i ngā mahi a Hirini. / The teacher is correcting Sydney's work. 2. (particle) Used with a few verbs of perception that take a direct object, i.e. kite, mōhio, rongo, inu, and ako. E whakakite ana ia i tana pūtōrino ki ngā whakaminenga. / She is showing her pūtōrino flute to the audience. 3. (particle) When used as a prefix with a stative the word becomes a verb that takes a direct object and takes a passive ending in passive constructions. Kua whakapaua aku moni e taku tama. / My son has spent my money. 4. (particle) to become a, translate (with names of languages) - prefixed to some nouns to form both verbs that take a direct object and verbs that do not. 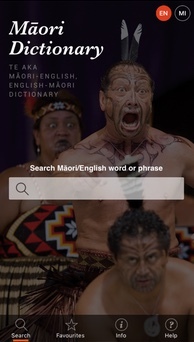 I mōhio iho au ki ngā tāngata i whakaingoatia. / I knew the people named. 5. (particle) towards, in the direction of - when prefixed to location words, especially mauī, matau, katau, mua, muri, raro, roto, runga and waho, and to nouns, in which case they will be preceded by te. With mauī, matau and katau, te may precede the location word or it may be omitted. With these they are sometimes written as three words separated by hyphens, e.g. whaka-te-moana. These words are normally used only as second, qualifying bases in a phrase. I Waihī ka huri whakauta te ope taua ka whai i te whārua o Pongakawa (TTR 1900:171). / From Waihī the war party turned inland and proceeded along the Pongakawa river valley. Huri whakatemauī! / Turn left, please! I te atapō tonu ka maunu te pā nei, ka haere, ka ahu whaka-Waikato (JPS 1899:180). / Just before dawn they retreated from this pā, departed and headed towards Waikato. Ka titiro whakatemoana te iwi rā; hoki rawa mai te titiro kua ngaro te wahine nei (M 2004:160). / The people all looked towards the sea, and when their gaze returned this woman had disappeared. Ka patua ko Tākaha i Ōtāwhao i te taha whakauta o Waipāwa (TTR 1990:347). / Tākaha was killed at Ōtāwhao on the inland side of Waipāwa. 6. (particle) In a few words of some other classes whaka- may also be used, e.g. āe, atu, kāhore and kore. Kīhai rāua i whakaae kia haere au ki te pakanga i Irāki. / They did not agree that I should go to the war in Iraq. 7. 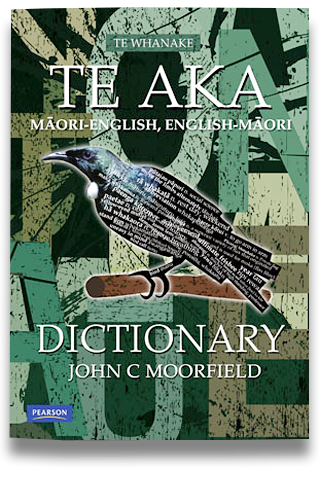 (particle) a particular use of the prefix whaka- with numerals is for fractions, but this use is uncommon in modern Māori. Used this way as a noun or to follow a noun as a modifier (i.e. as an adjective). Āta wehea te whakatekau o ēnei moni mō ngā mahi a Ihowā, tō tātou Atua, arā, mō Tōna Hāhi, mō te kawe i te Rongo Pai ki ngā Tauiwi, mō te whāngai rawakore, pouaru, tūroro, me ērā atu tini mahi pai, mahi aroha (TP 1/9/1901:5). / Carefully divide off a tenth of this money for the work of Jehovah, our God, that is, for His Church, for conveying the Gospel to the heathens, for feeding the poor, widows, invalids, and for those many good works and deeds of charity. 1. The philosophical base for Kura Kaupapa Māori education for the teaching and learning of children. 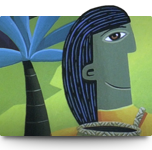 Te Aho Matua is presented in six parts, each part having a special focus on what, from a Māori point of view, is crucial in the education of children: 1. Te ira tangata – the physical and spiritual endowment of children and the importance of nurturing both in their education; 2. 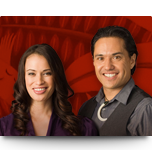 Te reo – principles by which this bilingual competence will be achieved; 3. 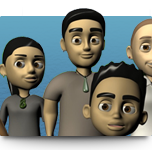 Ngā iwi – principles important in the socialisation of children; 4. 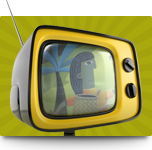 Te ao – those aspects of the world that impact on the learning of children; 5. 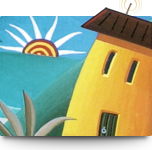 Āhuatanga ako – the principles of teaching practice that are of vital importance in the education of children; 6. Te tino uaratanga – the characteristics aiming to be developed in children.